At Delray Beach Oriental Rug Cleaning Pros, we offer a wide variety of Oriental and specialty rug cleaning, repairs and restoration services in Jupiter, FL. Our rug repair specialists are trained and experienced in working with a variety of machine and handmade rugs, such as Oriental, Persian, Cowhide, Leather, Indian, Afghan, Pakistani, Moroccan, Tunisian, Turkish, Caucasian, Chinese, Romanian, Spanish, Navajo, and many other specialty rugs. In addition to these services, we also brighten and correct color runs and deep clean area rug stains and soiling to maintain the vibrant beauty and value of your area rug. Your Oriental rugs require the finest care. 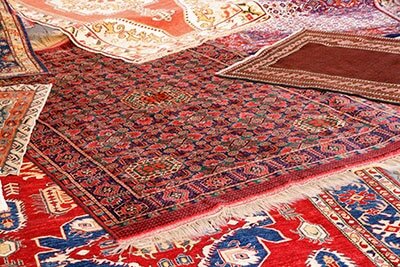 We examine your Oriental rug to determine the type of fringe repair it requires based on rug construction. If your rug’s edges are hand knotted, they need to be re-wrapped by hand, paying close attention to the rug’s specific colors and structure. Our goal is to match the fine quality you have grown to expect from your beautiful Oriental rugs. This is a very elaborate and meticulous process that is performed by hand. If your Oriental rug is machine made, power fringing is the preferred method of repair and a quicker process. If your goal is to completely change the fringe, we have a wide variety of colors and fabrics depending on your preference. Some customers prefer to remove the fringe altogether. Whatever your choice, we are here for you! For many Oriental rugs and other heirloom rugs, rug patching may be economically and aesthetically the best repair choice. We recommend that patching be done as soon as holes are discovered to prevent more extensive damage. 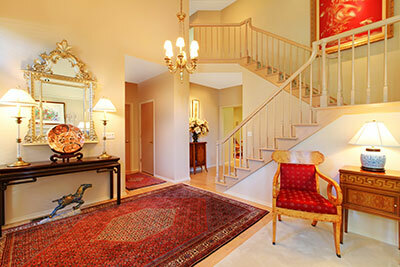 Depending on the value of the Oriental rug and the extent of the damage, we may recommend rug reweaving. This is the most thorough, time consuming, yet undoubtedly the best method to repair your Oriental rug or other fine area rug to near original condition. We clean the damaged area and sew new threads matching the texture and color of the original rug into the hole to rebuild the foundation of your rug. Once that task is accomplished, we must precisely duplicate the knots in the original design so repairs are not noticeable. The process of serging gives your rug a fine finished appearance. The sides of your Oriental rugs must be secured with wool, cotton or synthetic thread to protect them and keep them from unraveling. 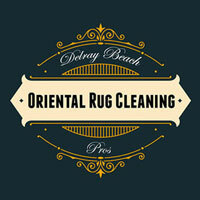 At Delray Beach Oriental Rug Cleaning Pros, we offer both hand serging and machine serging depending on the rug's construction. Before we begin the serging process, we make sure your rug edges are solid enough. If your rug requires edge repairs, we reinforce them prior to serging for durability and long lasting repairs. Additionally, binding is used primarily on tufted carpet, which is made into rugs. We take a narrow strip of fabric and place it over the raw edge of the rug and then secure it to prevent fraying. This gives your rug a nice finished look.